There are always reasons to send a gourmet food gift. To say thanks, thinking of you, get well, cheer up – you name it. Normally when I send gifts the intent is to lift the spirits of the recipient. Now there are lots of choices and top of mind may be flowers or chocolates. Not that there is anything wrong with flowers or chocolates mind you, but wheres the imagination? Flowers and chocolate are a safe gift, but not necessarily a wow gift. So let me share with you a wow gourmet food gift…a 3 or 4 course gourmet dinner from GourmetStation. You may choose from Parisian, Tuscan, Cajun or Fusion fare, but for the summer, I recommend that you “Go Cajun”. Here’s why. Summer is casual, fun and light. We dress light and eat light. Cajun cuisine may be spicy, but it’s not necessarily heavy. But more importantly, it’s FUN! I found a definition of Cajun and had to share it with you. Read on. CAJUN ('ka:-j@n), n. A person born or living along the bayous, marshes and prairies of south Louisiana; devoted to gumbo, boudin, sauce piquante, crawfish and jambalaya; dedicated to the fais-do-do, French music, hard work and letting the good times roll. Any person who is devoted to gumbo and boudin and let’s the good times roll is all right by me. Cajun cuisine has many associations, but the most prevalent to me is kick back, eat & have fun. That’s what your recipient will feel when they receive a gourmet food gift from GourmetStation’s Cajun menu. Go ahead, let the good times roll. I am so pleased that our friend and GourmetStation patron, Mark Stine, has agreed to write for Delicious Destinations from time to time. Mark's latest post demonstrates ways to show you care with food gifts. Mark combines personal memories with practical ways to say "thinking of you" for the people in our lives that have everything. Now being somewhat like my Grandmother, I find myself thinking of family, friends and past acquaintances. Some of it has to do with age. Being over 50, the portion of time remaining has become more important to me in how I spend it. And the actions I take towards others and how I am viewed …..and remembered someday. Just recently I made a new acquaintance and was introduced to a breakfast and or lunch snack of toasted white bread, fresh avocado spread over bread and topped with Bacos, or imitation bacon bits. It was a unique little snack…and when a gifting opportunity presented itself, I purchased four bottles of imitation bacon bits made from soy protein and mailed them right off to say “Thanks” to a man who basically has everything anyone could want….. but he could use the imitation bacon bits in his everyday life. .A way of saying, “Thinking of You” for a friend. A simple thing, but surely more remembered than anything else I could have sent. Gifts of food have been a part of most world cultures and was often reflected in the bounty of late summer and early fall as peaches were canned, German apples dried and Italian hams cured. A wonderful opportunity exists to send to your friend, family member far away, or someone who is or was close to you, but due to the passage of time, the closeness may have faded….a reminder of how much you care. What better way to recharge that connection than through a wonderful gourmet gift from GourmetStation. Often a friend or loved one may have had a dream of visiting some far off locale, but through the events of their life, may have gotten sidetracked along the way. A gift opportunity to transport them, if only for a respite, to Paris or Italy can be accomplished through a GourmetStation gift certificate or better yet surprise them with a specialty meal. A “personalized” card can be included…and they’ll remember you as part of that special meal from a locale they always wanted to visit. Zupa (Polish), soep (Dutch), sopa (Portuguese), sopp (Swedish), leves (Hungarian)or Marak מרק (Hebrew). Soup. 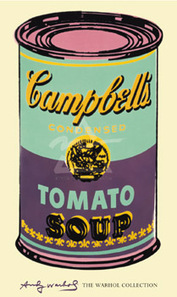 Long before Andy Warhol turned a Campbell's soup can into pop art, soup has been a classic dish on many tables. Soup recipes can be found in cookbooks dating as far back as 30 AD when Marco Apicio's included a dish made of farro chickpeas, fava beans, onions, garlic, lard and greens in De Re Coquinaria. Soup has even made its way into literature. Beau - ootiful Soo -oop! There are even soup songs. For a unique treat listen to 12-year old Michael Bannett sing Soup of the Evening. I promise you it's worth the click. One of my favorite fables is of course, Stone Soup. I'm sure you recall the tale of the travelers who made the most delicious soup from a stone...with a little help from some new friends. For me a perfect winter's meal is a steaming bowl of soup, some crunchy bread, a tossed green salad and perhaps some warm right out to the oven cookies. Don't worry if you don't have time to prepare homemade soup or bake cookies GourmetStation has done it for you. This is one of my favorites and makes a great beat the winter blues food gift. What would be a better way to let them know you care than with a food gift from GourmetStation and a poem from George MacDonald. I have two quotes on this subject - enjoy. If you seek a food gift to warm the soul, look no further than the GourmetStation "thinking of you" food gift collection. Food and community are as naturally paired as Santa Claus and Christmas. W.K. Kellogg, Professor of Agricultural, Food & Community Ethics at Michigan State University and Paul B. Thompson wrote these insightful comments about food and community. "The association of food with community is a commonplace. A community even without food is rare and the bonding that people experience when sharing food and drink underwrites a number of diverse human institutions. The family table, dinner and a movie, the church supper, the wedding banquet and the busienss lunch are icons of sociability, each centering on a meal, but implying distinct forms of common interaction and shared meaning about human beings." So if you want to share and connect, I say send a gift of food. The occasion does not matter – in fact, you don’t even need an occasion. And if you’re too far away to prepare it yourself or you’re unsure about what to send, send a gift certificate from GourmetStation.